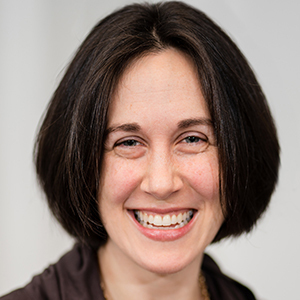 Emily is thrilled to serve as Philadelphia Hebrew Public’s founding Executive Director, building the organizational infrastructure necessary to support the school’s mission. For over two years, she guided the Hebrew Public team through a successful charter application. Most recently, Emily was a founding member of Bloom, a planning practice that partners with non-profit organizations to make a purposeful change. 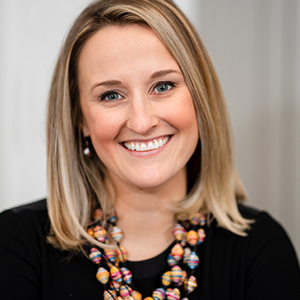 As the Director of Development for the Byerschool Foundation, she spearheaded fundraising, strategic planning, and external relations to support the students, families, and teachers at the Russell Byers Charter School. During her time in Guatemala City, Emily founded a social entrepreneurship program for women through the NGO Camino Seguro. She originally landed in Philadelphia as a staffer on the 2008 Obama campaign. A graduate of Bowdoin College, she is a Master in Public Administration candidate at the Harvard Kennedy School. She contributes actively to her community, serving in the leadership of the Mental Health Partnerships Board of Directors, a regional leader providing mental health services to over 7,000 people annually. Emily lives in Philadelphia with her husband, TJ, their aging mutt, and the newest addition to the family, a stray kitten. Elyssa is honored to join Philadelphia Hebrew Public as the founding Head of School and instructional leader. Bringing deep experience working both in the classroom and school administration in Philadelphia charter schools, she most recently served in a school leadership role building and supporting special education programming for students in kindergarten through sixth grade. In her work as a school leader, she has supported teachers to develop inclusive and equitable practices in classrooms and promotes student outcomes and growth across difference. She serves as a national facilitator in the Seeking Educational Equity and Diversity training program. Elyssa earned her BA at Syracuse University and a Master of Science in Elementary Education & Special Education at the University of Pennsylvania. She holds her Principal Certification from the RELAY Graduate School of Education as well as certifications in English as a Second Language and Special Education. Elyssa’s K-12 schooling experience took place in Hong Kong, where her family still resides. She currently lives and calls South Philadelphia home. Amy joins the Philadelphia Hebrew Public team as its Director of Operations, driving much of the operational startup in our founding year. In her role, Amy is responsible for managing the non-instructional operations of the school, including daily systems and procedures, in addition to student and family engagement. 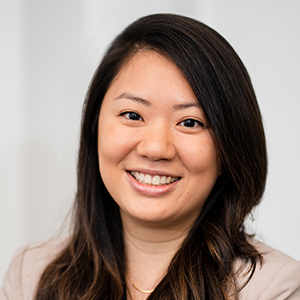 Prior to joining PHP, Amy worked in the operations department of PIDC, Philadelphia’s public-private economic development corporation, implementing various process-improvements and providing legal and marketing support. As a former Four Seasons Hotel employee, Amy is well trained in the art of customer service, and she spent the early part of her career as the residential director of an overnight camp program in the Greater Philadelphia area. Amy is a graduate of the University of Pennsylvania, with a BA in Asian and Middle Eastern Studies, and spent a year studying abroad at Ben-Gurion University of the Negev in Be’er-Sheva, Israel. She lives with her husband and two children in the Southwest Center City neighborhood of Philadelphia.